Few days back, we reported that Hibernate option is disabled by default in Ubuntu 12.04 and enabling hibernate required changing some system files manually. 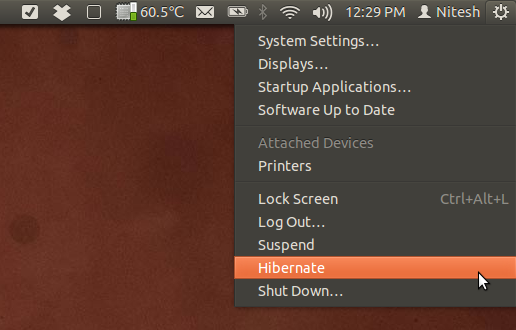 However, a nice PPA is now available which will enable hibernate on Ubuntu 12.04 without any need to manually change system files. Remove following lines and reboot.